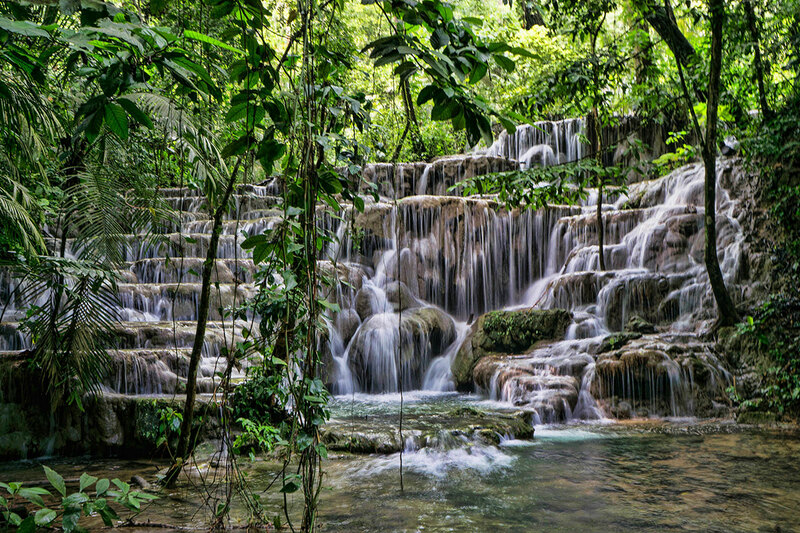 I had no idea when I entered the Palenque Mayan ruins that the park’s green forest held a hidden secret – a river that had stunningly beautiful cascading waterfalls and refreshing pools. I could’ve spent the entire day at the spot and never grow tired of the sounds and sights of these falls. The national park is surrounded by lush jungle, and covered in Mayan ruins but these falls ended up being my favorite place during the visit. 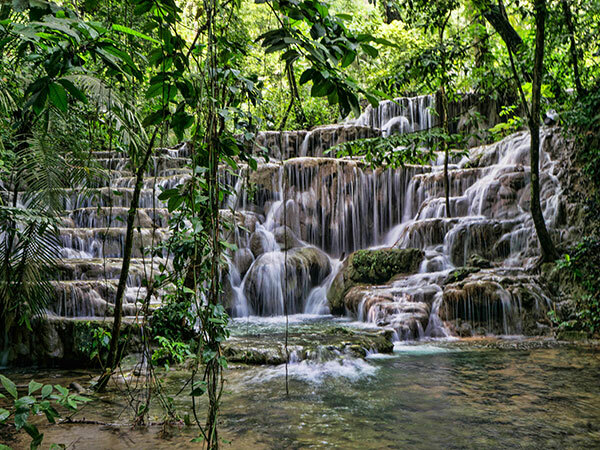 I’d soon come to realize that Chiapas, Mexico is home to many more spectacular rivers, waterfalls and lakes. No words can describe this photo. Just kudos to the person who took this picture perfect vista. What a fabulous shot. Looks like a great place to hang out. Was just about to write the same comment as above… but it is true… what a fabulous shot!